There’s nothing better to add to your salad than our deliciously fresh and creamy Hemp & Dijon Mustard Dressing. It’s a dressing that treats every leafy green like it’s something to be celebrated, as it should be! This lovely combination of ingredients mixes into a sauce or dressing that’s both nutritious and delicious! 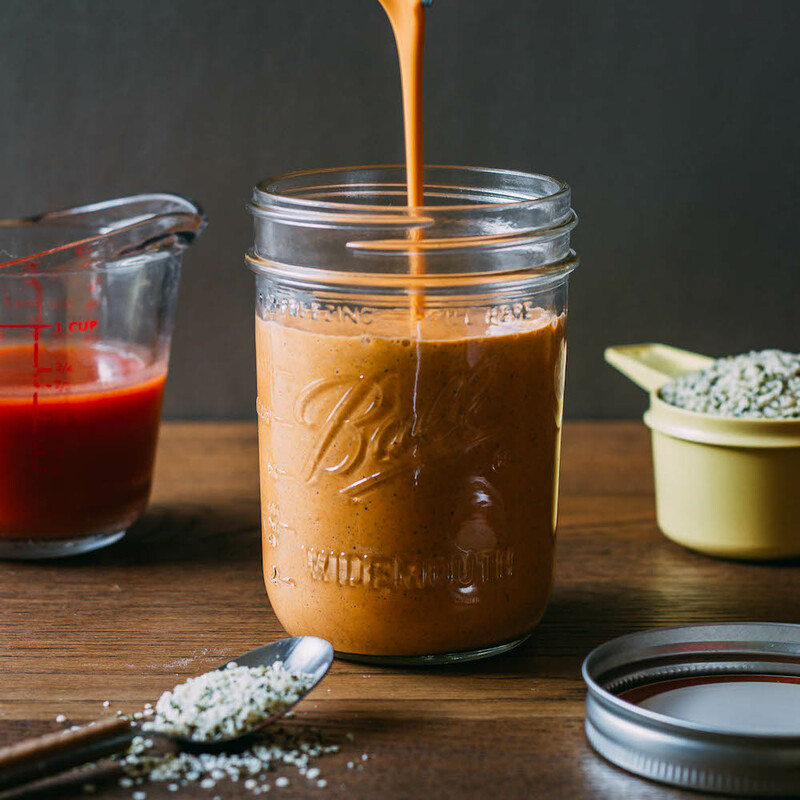 Furthermore, dressings that taste this AMAZING make eating your veggies a breeze! Raw hemp seeds add a delicate nutty flavor and creaminess to this dressing. 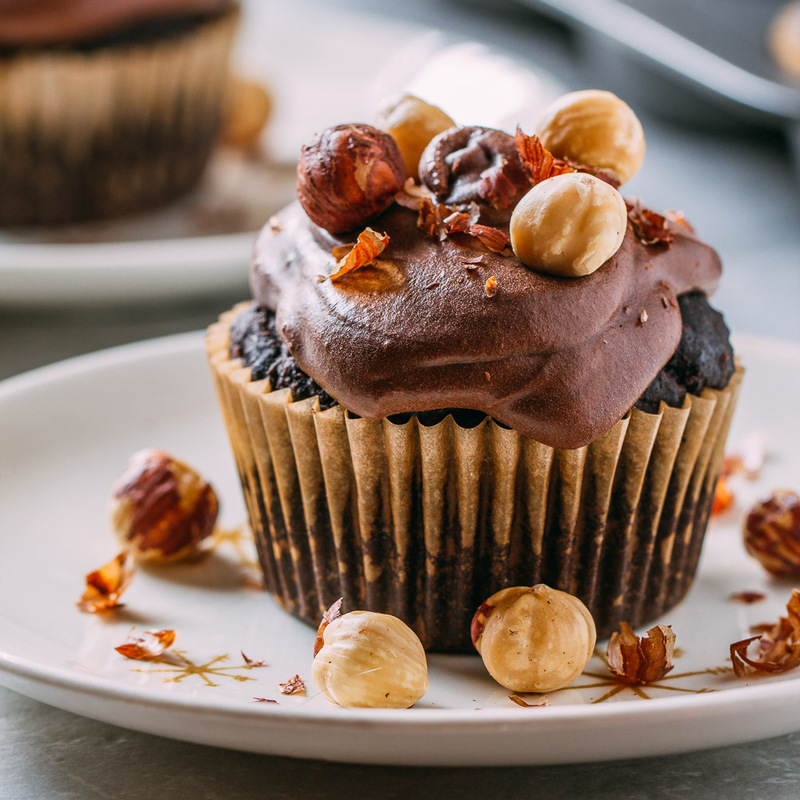 And what you need to know about hemp nutritionally speaking, is that its a perfect balance of Omega-3, Omega-6, and fatty acids. All seeds are some of the most potent foods containing amino acids, iron, B vitamins, and magnesium. But hemp seeds are exceptional and happen to be one of the highest sources of plant-based protein. 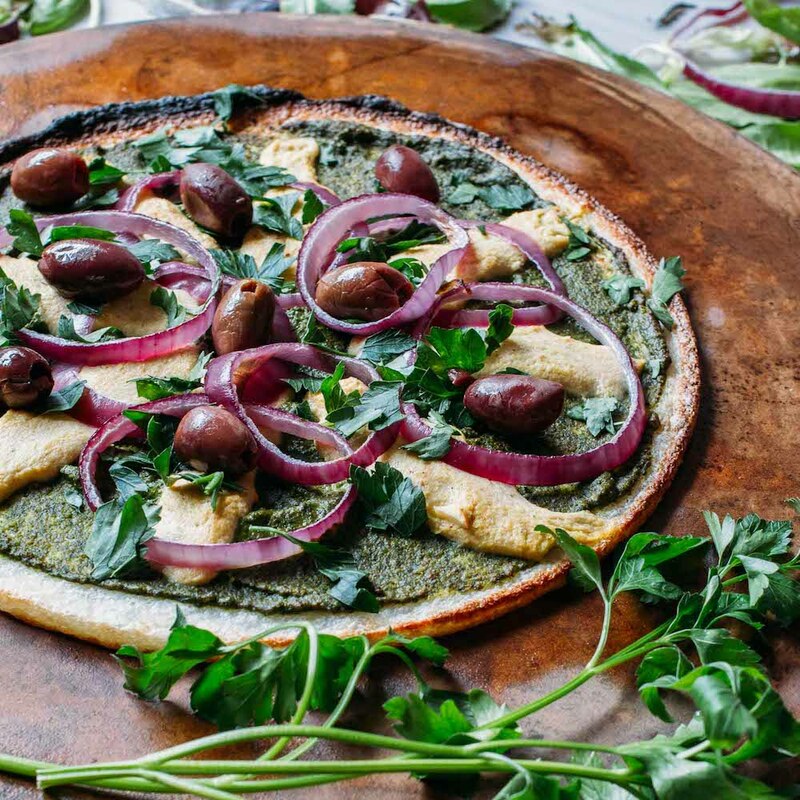 They’re super easy to digest and contain roughly 13 grams of protein in only three tablespoons. It’s purely amazing how much nutrition one tiny seed provides! Tasty sauces like this one can be of real help when it comes to getting children to eat their veggies. As many of us have experienced the most significant mealtime battles with little ones can be convincing them to eat their vegetables. So why not whip up a yummy sauce that dresses up the veggies, makes for a fun dip and excites your taste buds? 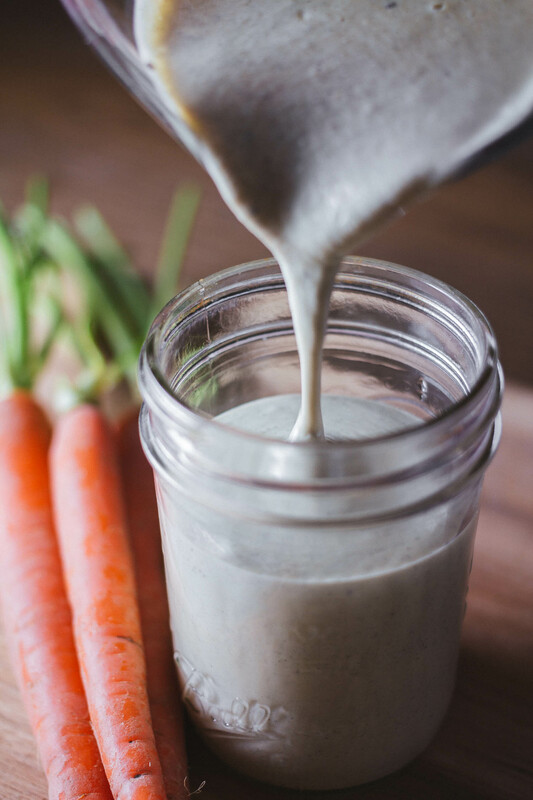 Hemp & Dijon Mustard Dressing plays well with the flavor of raw vegetables by creating a terrifically tangy zip! 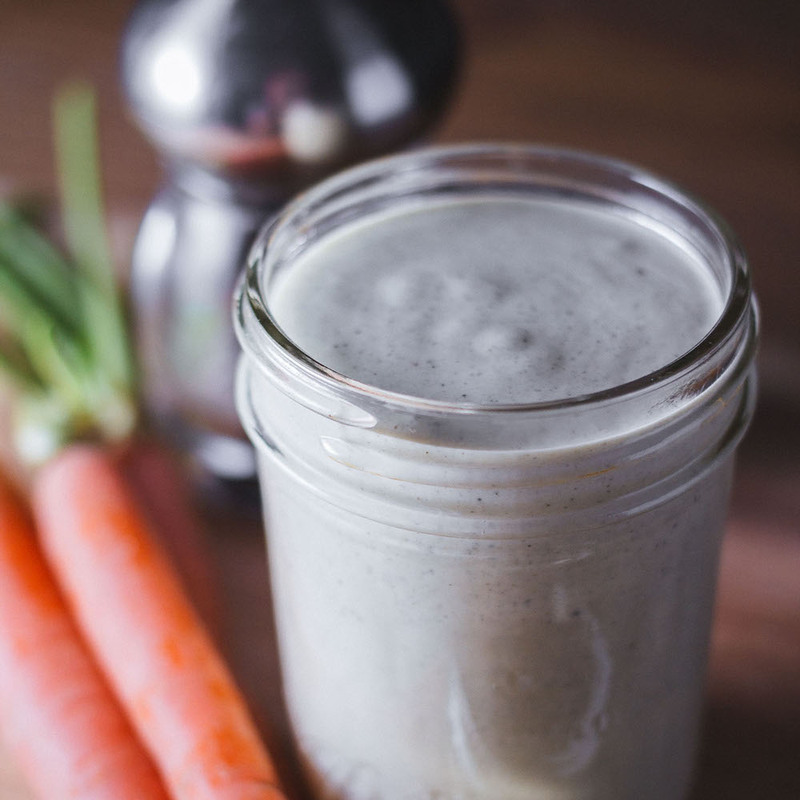 I invite you to try out this Hemp & Dijon Mustard Dressing when you make our vitamin packed Cauliflower, Kale & Carrot Chopped Salad. The dijon mustard in this creamy creation pairs nicely with the hearty deep green kale. Even just a drizzle of this dressing celebrates every single bite of fresh veggies. Our Hemp & Dijon Mustard Dressing also tastes fantastic as a dip or sauce for oven roasted potatoes. So toss those veggie avoiding excuses and, while you’re throwing things around, toss a tasty salad, too! Mix up a fresh batch of Hemp & Dijon Mustard Dressing and invite a few more life-affirming vegetables to join you in your day. It’s time to dress your salad in something gorgeously creamy and deliciously healthy like our Hemp & Dijon Mustard Dressing! 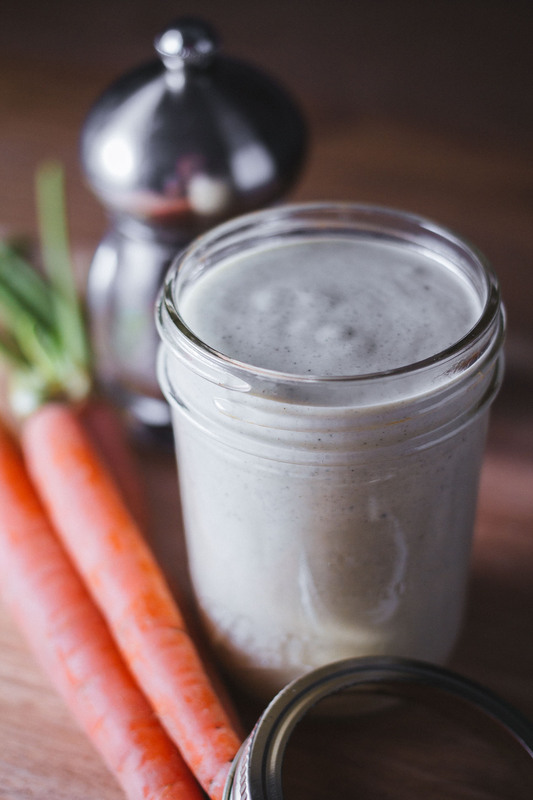 Our homemade mustardy dressing offers a perfect balance of sweet and savory with a teensy kick that’s sure to hit your taste buds, and salad, just right! We use this dressing in our super crunchy, make-ahead and take it with you, Cauliflower, Kale & Carrot Chopped Salad. 1 tbsp of dijon mustard - Make it generous for more tang. 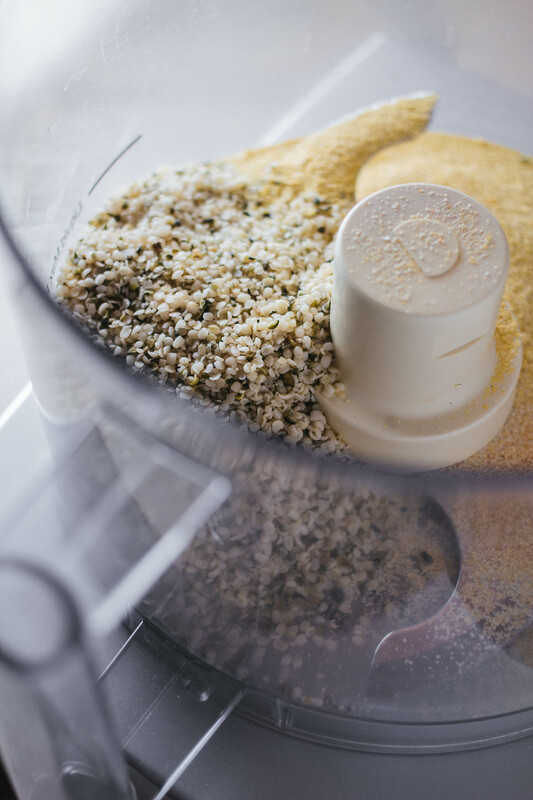 First, in a food processor, combine all of the dry dressing ingredients and process in short bursts to grind and blend the hemp seeds and spices. Next, add the liquid ingredients to the processor and blend a minute to combine. Taste and adjust the seasonings to your liking by adding salt and pepper as preferred. If you enjoy a thinner dressing, add little bits of water at a time until you reach your desired consistency. Use your lovely batch of homemade Hemp & Dijon Mustard Dressing right away or cover and refrigerate for up to a few weeks. When storing your delicious homemade sauces and dressings for later use, be sure to shake well to stir the ingredients before using. If avoiding the use of oils, you can very easily substitute water or vegetable broth for the raw hemp oil since the hemp seeds provide an attractive creaminess all on their own. For those choosing to use the oil, no other vegetable oil offers EFAs at such high concentrations. Use hemp oil raw or very gently heated to conserve the essential fatty acids. Finally, based on the tremendously tangy, yet smooth flavor of Hemp & Dijon Mustard Dressing I find it works exceptionally well as a sauce for a potato, chickpea or pasta salad. Be sure to let me know when you discover new favorite uses for this dressing! This dressing looks wonderful, and I’m looking forward to trying it! Would you mind clarifying the measurement for the hemp hearts? Three-quarters cup? Hi, Jessica. Thank you for taking the time to visit my recipe. The correct measurement for the hemp seeds is 3/4 cup. Thank you, again! Very much appreciated and I’d love to hear how it turns out. My family loves how it tastes with all of the hearty veggies in our recipe for Cauliflower, Kale & Carrot Chopped Salad.